Provides information about form XObject resource of PDF document. A form XObject is a PDF content stream that is a self-contained description of any sequence of graphics objects (including path objects, text objects, and sampled images). A form XObject may be painted multiple times-either on several pages or at several locations on the same page-and produces the same results each time, subject only to the graphics state at the time it is invoked. 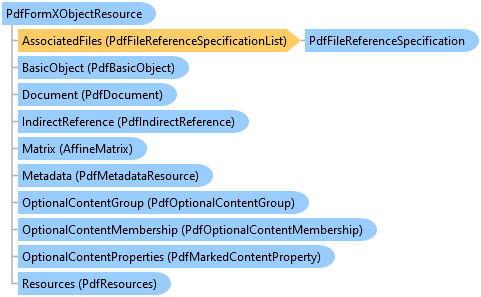 Not only is this shared definition economical to represent in the PDF file, but under suitable circumstances the PDF consumer application can optimize execution by caching the results of rendering the form XObject for repeated reuse.